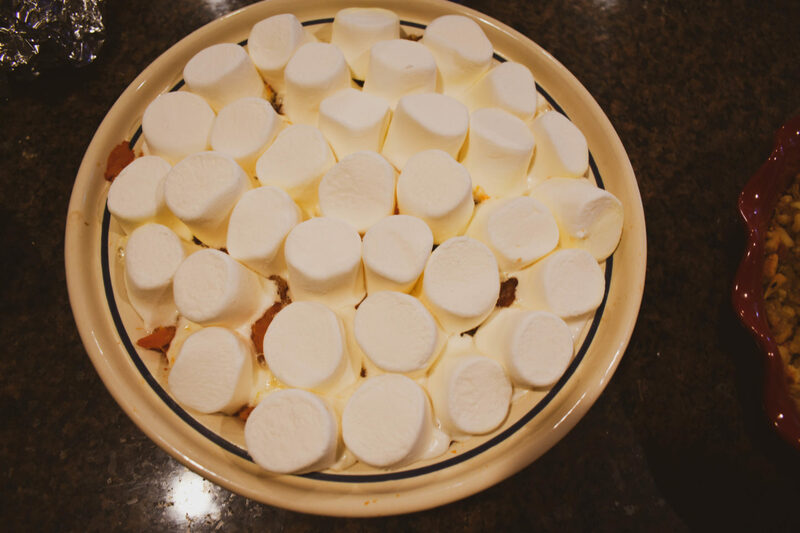 So this recipe is super simple and its one of my favorites especially around the holidays. I made the dish for Thanksgiving. I wanted to make one of my favorite recipes that my mom taught me since I was celebrating the day with my Mervin family. I love adding some sweetness to every meal, I’m even thinking of making it for Christmas! In a small bowl combine chopped pecans, brown sugar, melted butter, & flour. Sprinkle the mixture (pecans, brown sugar..) DON’T USE THE WHOLE THE MIXTURE SAVE SOME FOR ANOTHER LAYER. Cover the dish & put in oven for 30 mins. After the 30 mins take dish out & add Marshmallows. 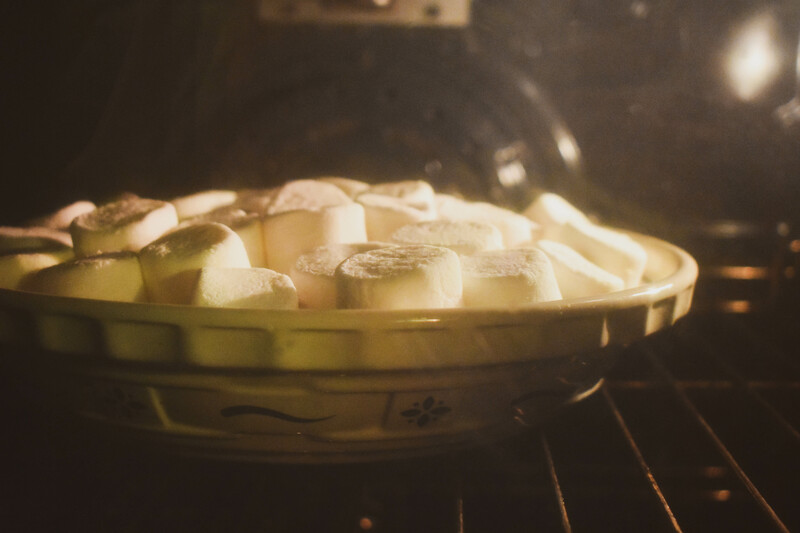 Put dish back in oven for approximately 5 minutes or until the Marshmallows are golden. 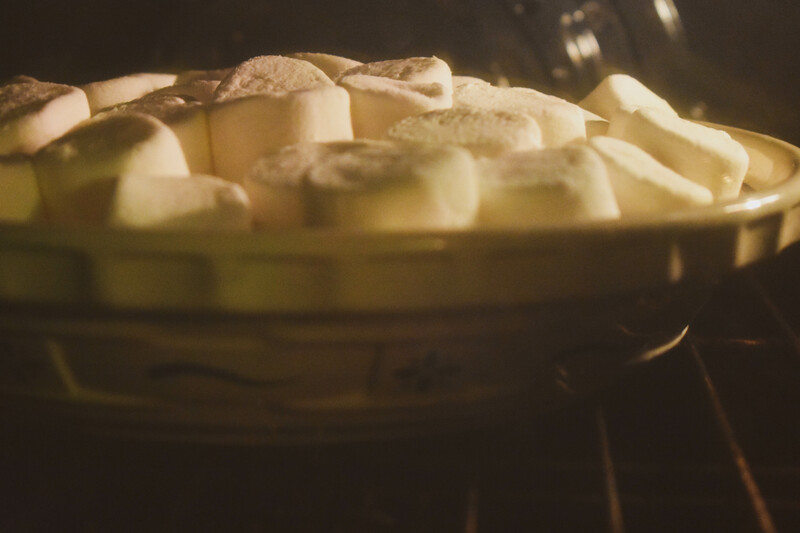 **Keep an eye on it so Marshmallows don’t burn. And there you have it!!! A simple & quick recipe that tastes delicious!! 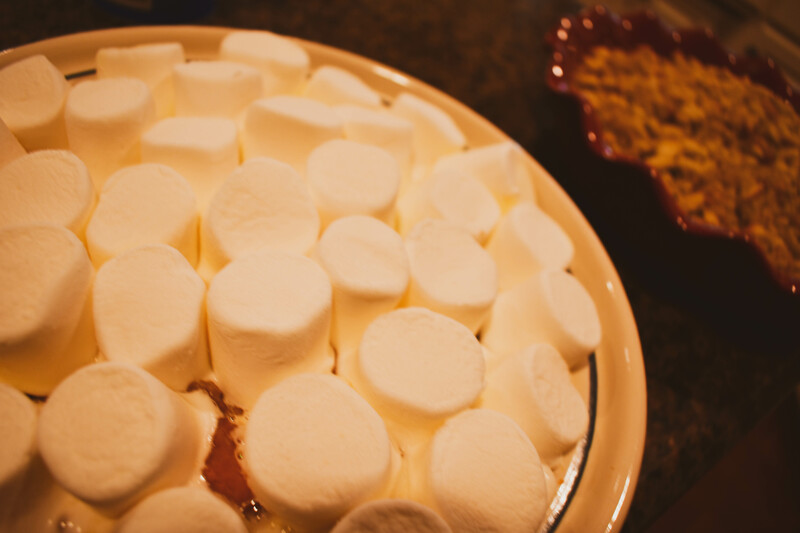 What’s one of your favorite holiday dishes? Comment below! Previous Post 1st SUBSCRIBER-ONLY GIVEAWAY! $100 to…. Next Post PROFESSIONAL CUSTOMIZED TEETH WHITENING KIT WITHOUT GOING TO THE DENTIST!